Above is a copper-leaf gilded 3-D carved horse sign, with text that V-carved engraved and the gold-leaf gilded. This plaque is 24 inches in width. The background is painted with Matthews polyurethane paint, and the entire sign is sealed with two clear coats. 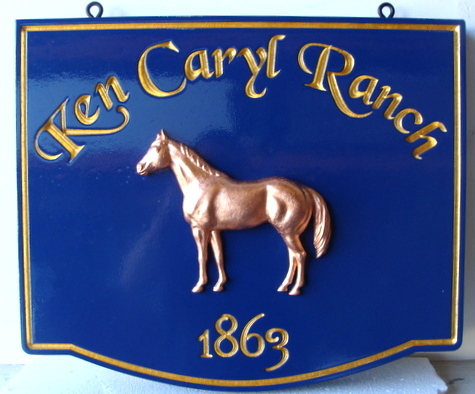 Please click on Gallery 24 to see other designs for equine and equestrian signs.